REAVESCOLEY is here to support your international business. Exporters and government contractors alike are often subject to the Export Administration Regulations (EAR) or the International Traffic in Arms Regulations (ITAR). 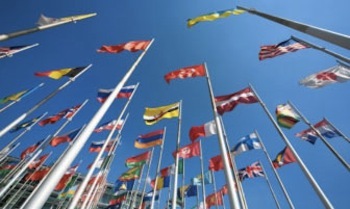 We will help you navigate complex statutes and regulations that govern doing business in a global economy. We focus on implementing proactive training and compliance programs to help guard clients against costly and time-consuming litigation as well as potential civil and criminal liability. We draft export compliance plans, assist with the submission of ITAR registrations and license applications, and perform compliance audits of records, policies, and procedures. Our attorneys provide compliance training specifically tailored for your business. In addition, we also assist with the submission of Commodity Jurisdiction Requests and with responses to government inquiries and investigations. At REAVESCOLEY, we take care of these time-consuming tasks and help you achieve compliance so that you can focus on the success of your business.